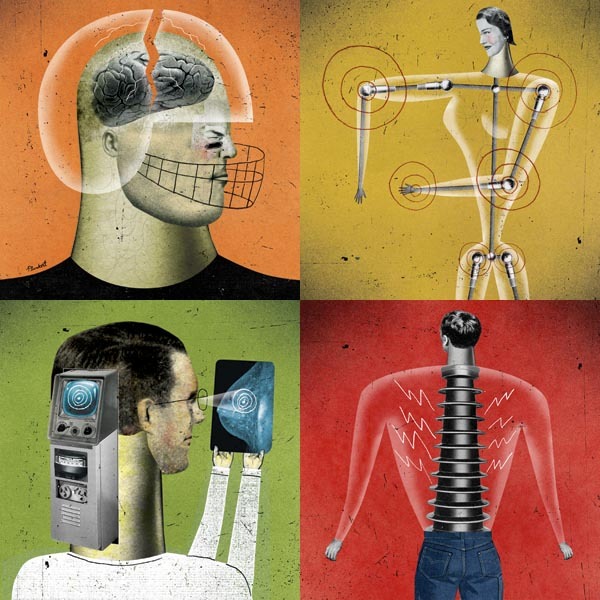 Here are four Illustrations created for Stanford Medicine Magazine, Spring 2012 issue. AD: Dennis McLeod / David Armario Design. Clockwise from upper left: Hit Record: Research to Explain Concussions, Joint Discovery, Historic Trial Halted, & Computing Cancer. Read the articles online here.